The rice needs to be soaked for a minimum of one hour. I’d suggest 2 to 3 hours of soaking time as it yields a softer flour. Use any good quality raw white rice like sona masuri. 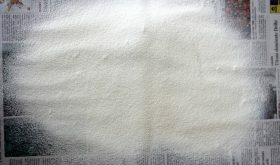 Ensure you dry the rice on cotton cloth in the shade till it is almost dry with a bit of moisture. I usually place a newspaper on the floor, spread the cotton cloth over the paper and then spread the drained rice as a thin layer. 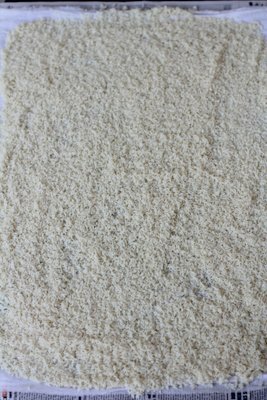 After sieving the rice flour, the residue coarse rice rava can be further ground to a smooth flour or used to make recipes that call for rice rava (coarsely ground rice). A small batch of rice flour can be made at home while large quantities (more than 1 kg) can be sent your neighbourhood flour mill. Usually, I prepare biyyam pindi with 1 kg rice during festivals like Ganesh Chaturthi to prepare naivedhyam (offering to God). Wash and soak rice in enough water for at least 2-3 hours. You can soak it for an hour if you are rushed for time. Drain the water completely and spread it as a thin layer on a cotton cloth. Dry it in the shade for an hour or till its almost dry yet slightly moist. 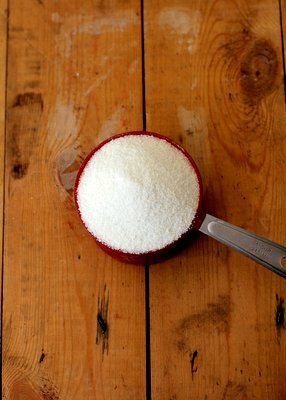 In a mixer grinder, add one cup rice and grind to make a fine powder. Sieve this ground rice powder and keep aside the left over residue rice rava (coarse in texture) in a separate bowl. Prepare rice flour with the rest of the rice in batches and collect the rice rava in the bowl. Spread the fine rice powder on a newspaper and allow to dry completely. Store it in a airtight container. 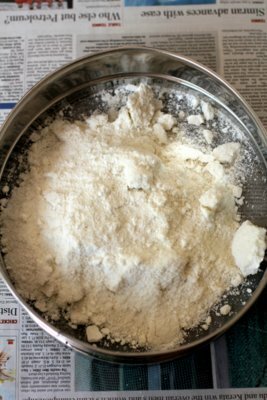 At this point, you can grind the residue rice rava to a fine powder OR use it to make upma or any dish that calls for rice rava. 1 cup rice yields 1 1/2 cups rice flour. If you are going to use the rice flour within 2 to 3 days of making it, you need not dry it after grinding it to a fine powder. Ensure you store it in the fridge. You can dry roast the fine rice powder for 5-7 mts on low flame, turn off flame and bring to room temperature. Store it in an air tight container for a few weeks. 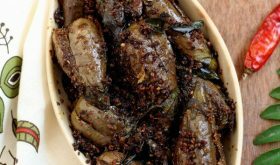 You can use it to make murukku, idiyappam and puttu. I make fresh batch of rice flour as and when required. It is best to soak the rice in water for at least 2-3 hours. By Sailu Published: August 26, 2014 Rice flour is an essential ingredient in an Indian kitchen. 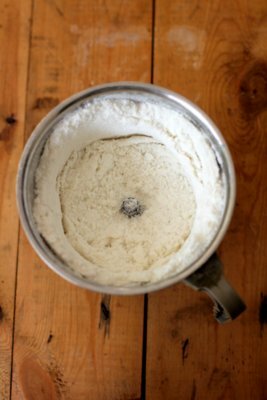 Learn how to make rice flour at home. Recipe of rice flour for snacks or biyyam pindi vantalu. I think you can not use news papers for cooking preparation, because for news papers have printing ink and they have some chemicals.If we are using for drying we are getting some printing ink in our food. 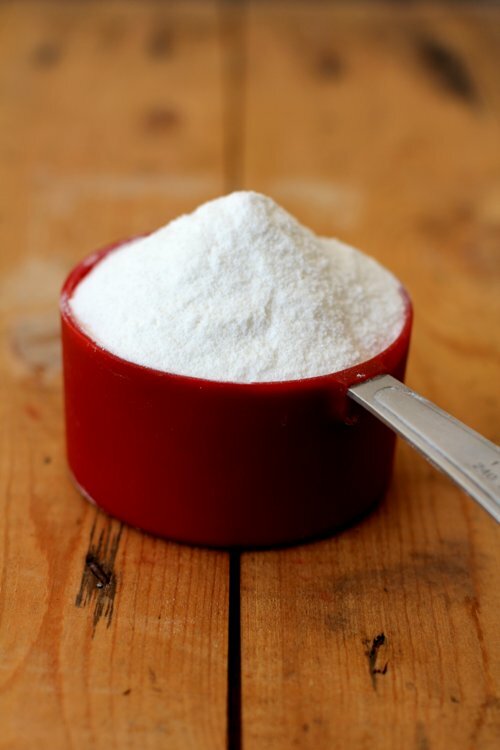 How many days can you store this rice flour? In the fridge, for a couple of weeks.